Imagine being able to start up your bike for an early morning ride without angering your neighbors. Imagine enjoying a deep, powerful exhaust note without cringing whenever you pass a police officer or school zone. National Cycle's new Peacemakers® Exhausts make those dreams a reality! The handlebar-mounted toggle switch allows on-the-fly transitions between loud and quiet modes. The small chrome Actuator Motor, mounted to the right front frame tube, receives the signal from the handlebar switch and opens/shuts the Diverter Valves via heavy duty cables. When the Diverter Valves are opened, the exhaust gases flow through the straight pipe down the center of the muffler, resulting in increased exhaust sound volume and greater engine performance. 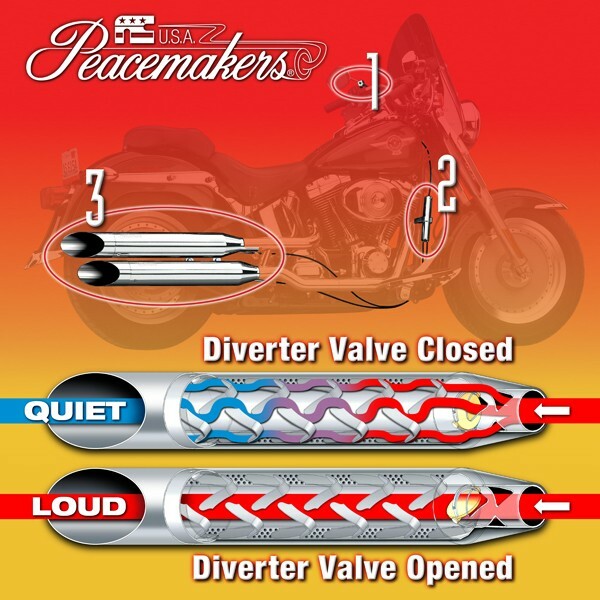 When the Diverter Valves are closed, the exhaust gases are routed through the Peacemakers' inner baffles, reducing the exhaust sound volume to a nearly stock level. 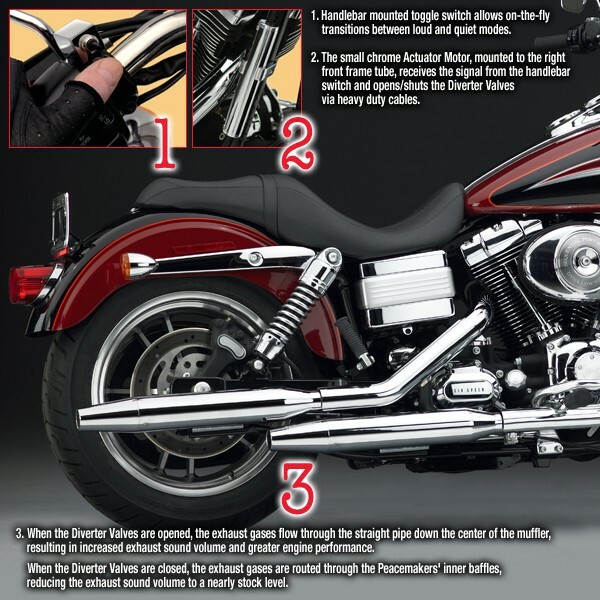 The 4-inch Peacemakers system has no more overall change than any other slip-on mufflers. The air/fuel ratio difference between open and closed is less than the change you would see by going from a #180 main jet to a #185 main jet. 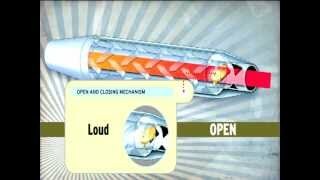 The bigger change in A/F ratio comes from using a high-flow air filter. You need to tune to the air intake first, because the pipes cause little change (I remember learning this back in the '70's). Bottom line: you don't need to tune for a difference between open and closed diverter valve positions on the Peacemakers! Just tune it to the 12.8-13.0 to 1 air/fuel ratio at wide open throttle (best power) and you are good to go. Peacemakers® Review by Paul W.
Just thought you would want to know that I read about your product for the first time in a review in Baggers Magazine when I was in Afghanistan. 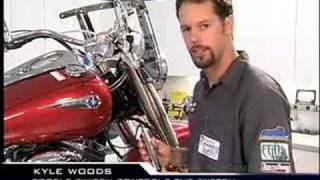 I ordered a 2008 Road King® Classic and made sure to get a Peacemakers® Exhaust put on my bike. The shop I used said that they had seen something else like it that rattled a lot. I still went ahead with your pipes because I liked the idea of being able to leave for work around 4:00 or 5:00 in the morning and not wake the whole neighborhood, but have a great sound when I want it. I have not been disappointed! I've ridden over 5,000 miles since May and have been from North Carolina to Illinois and Missouri and down here to Georgia and Alabama. People that know about bikes stop me all the time to ask about the pipes. 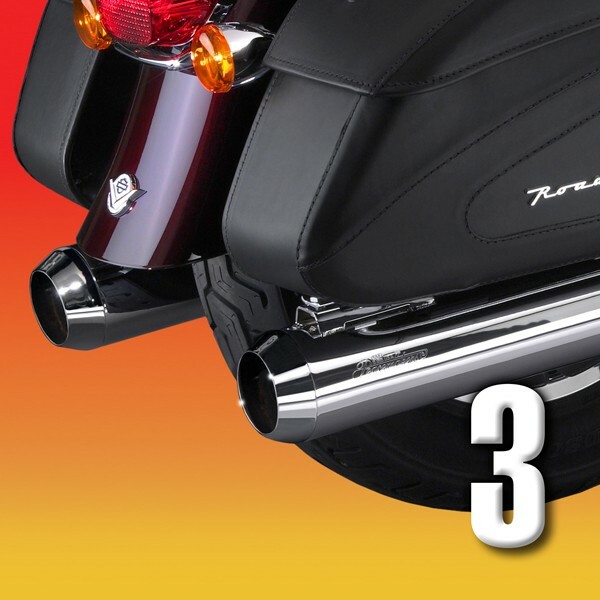 Peacemakers® Review by Rolland C.
I put the Peacemakers® exhaust on a week ago and they are great! Took the bike to the H-D dealer for my 5000 mile service and the Peacemakers exhausts were the talk of the shop. The service rep said he had shown them to several people throughout the day and they all thought they were great. Hope they last a long time, because they are nice to have since I work at a high school and ride to work on the bike whenever possible. I roar all the way to work, then quietly slip into the parking lot... it's perfect. 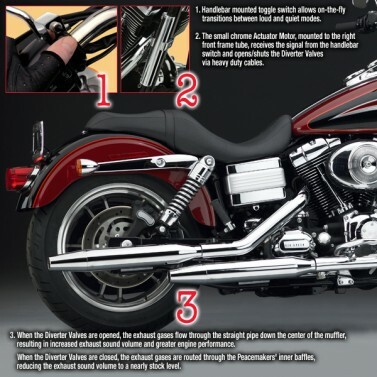 Peacemakers® Review by Cristobal C.
Peacemakers® Review by Barbara H.
I bought a pair of Peacemakers® and I had them installed on my Road King® Classic at Hog Farther in Southport, near where I live. Let me tell you, THESE PIPES ARE AWESOME! I live in a small village, nice and quiet, but once I'm out, I open my pipes and boy, it feels and sounds great! Also, they have not popped or backfired once. They are amazing! In January I bought my first Harley®, a nice shiny black FLHT, and started my new life as a rider. From the start I wanted louder pipes, but I live in a mobile home park, and I worked late nights/early morning hours. So to keep the people around me happy, I left the stock mufflers on my bike. If only someone would make an adjustable system. Well, two companies were working on just that. And I followed both of them for about two years. 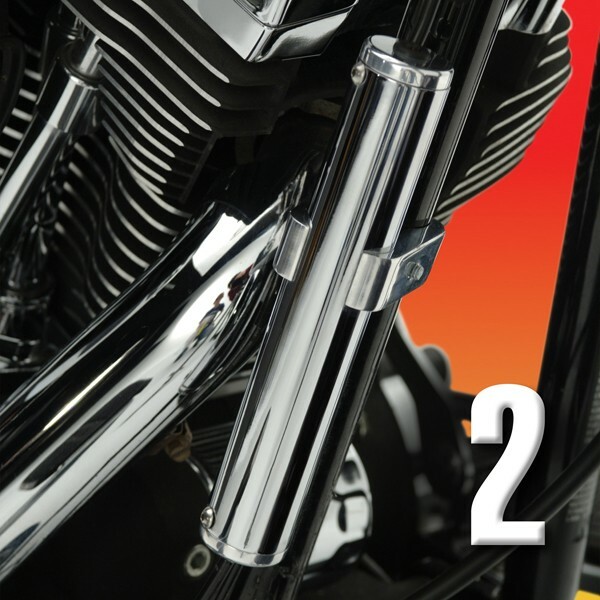 One company, National Cycle, finally came out with the Peacemakers® exhaust system. I just had them installed on my bike in November. With the baffles closed, they are not much louder than stock pipes. With the baffles open and at idle, it sounds pretty close to my stock system. But hit the gas and start down the road or the freeway and you will be HEARD. 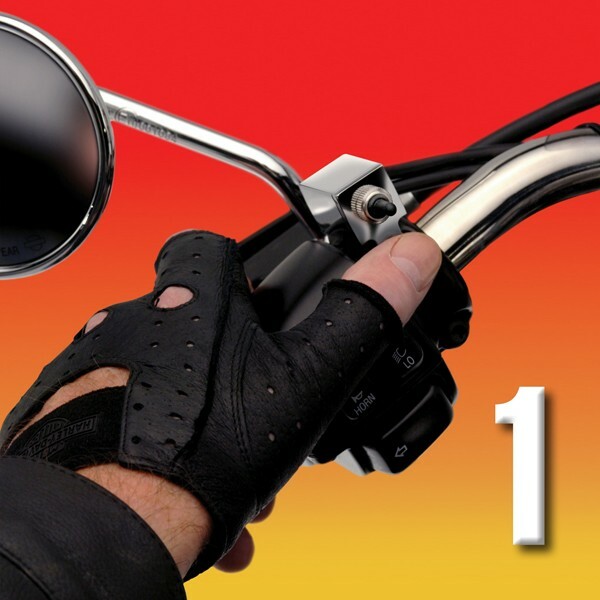 The sound is deep and throaty, just the way all Harleys should sound. But you can still talk to your passenger and hear the radio (if you have one). After doing all this, I can't help but wonder why this system is not standard on ALL motorcycles? Just think, I can now ride in any city that is cracking down on loud pipes and not be hassled by the local police, just by flipping a switch! I cannot say enough good things about this product. Riding down the road, I feel just a little bit safer knowing I have a little bit better chance of being heard.